The Reykjavik Daybed by Skagerak was inspired by the unique architecture of Iceland. Elements such as corrugated steel roofs or characteristic wooden structures that define the cityscape of Reykjavik are reflected in abstract form in the Daybed. The bed frame is made of high quality Douglas pine. Thanks to its simple design, the daybed fits perfectly into any environment and is suitable especially for smaller living rooms, apartments, bed and breakfasts, or to supplement conventional upholstered furniture. The mattress and cushion are covered with high-quality woollen fabric that add warmth and are real eye-catchers. The mattress can also be flipped over and offer a new colour balance to suit your needs. The Scandinavian style daybed was designed by the designer duo Included Middle. 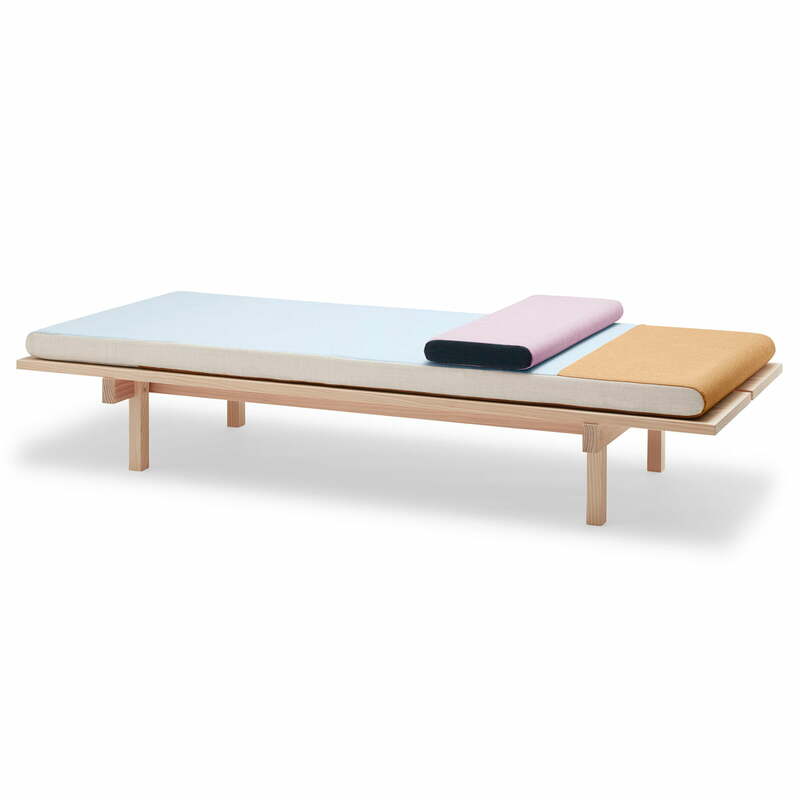 Isolated product image of the Skagerak - Reykjavik daybed. The Reykjavik Daybed by Skagerak was inspired by the unique architecture of Iceland. Elements such as corrugated steel roofs or characteristic wooden structures that define the cityscape of Reykjavik are reflected in abstract form in the Daybed. 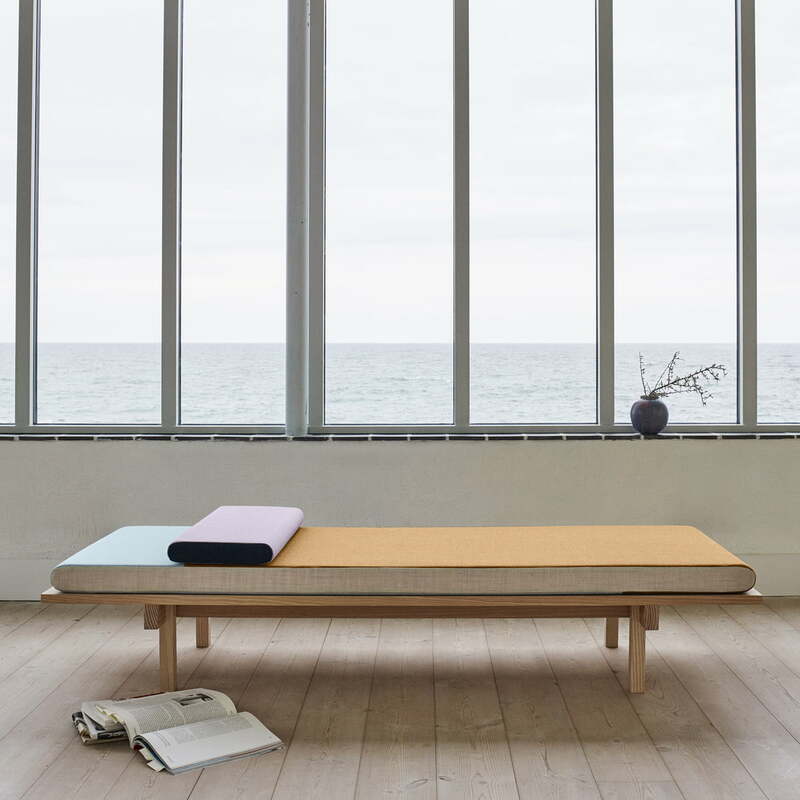 Lifestyle product image of the Skagerak - Reykjavik Daybed. The daybed’s simple elegance can best be appreciated when placed alone in the centre of a room.